Michael Leighton | 12/19/2017, 4:32 p.m.
A preliminary drawing envisions the proposed affordable housing condominium project planned for North Interstate Avenue by the nonprofit Proud Ground. A Portland community land trust created to help residents share in the equity from owning a home has plans to develop a major affordable condominium project giving priority to displaced residents. Proud Ground indicated last week that it wants to develop a permanently affordable, mixed-use housing condominium at 5020 N. Interstate Ave., located in the heart of the city’s Interstate Urban Renewal and North/Northeast Housing Strategy Plan area. The backers say they are confident they will soon win approval for the project, but final negotiations are still be worked out with city officials and the Portland Housing Bureau, including funding support, according to Proud Ground Executive Director Diane Linn. Linn said Proud Ground is working with community leaders in the African American community on the construction and is committed to a preference policy giving priority to families who would like to return to their historic neighborhoods. 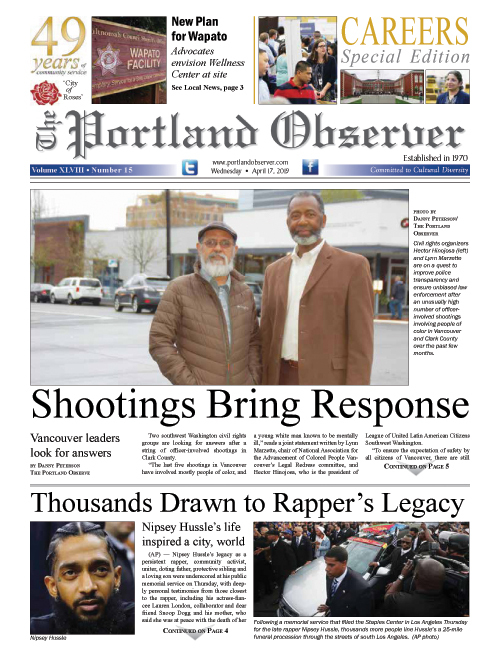 The Portland Housing Bureau recently approved a return policy for Portland Community Development Initiatives, Inc., (PCRI) another affordable housing provider, which is building housing units and gearing eligibility to help former households with generational ties to north and northeast Portland who were displaced or at-risk of displacement due to past city actions related to urban renewal areas. Forty-one of the 50 units proposed for the Proud Ground condos project would be permanently affordable, family-sized units serving a range of 35 percent to 100 percent of area median income or between $26,245 and $74,700 annual household income for a family of four. Plans call for the project to be developed in partnership with Habitat for Humanity Portland/Metro East, and a community based development team: Carleton Hart Architecture, as architect; LMC Construction, as the general contractor; Housing Development Center as development consultant; and Jeana Woolley of JM Woolley & Associates as owner’s representative.